Hunter TAFE is starting Semester 2 with a new look. Check out the website here. 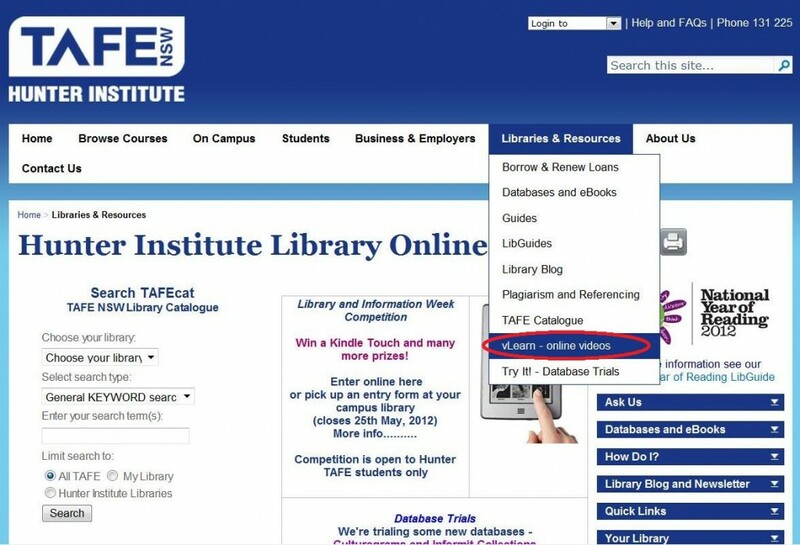 To find us on the Hunter TAFE website, just go to Services and Facilities on the top menu and click on Libraries. Get Library Database Passwords Now! 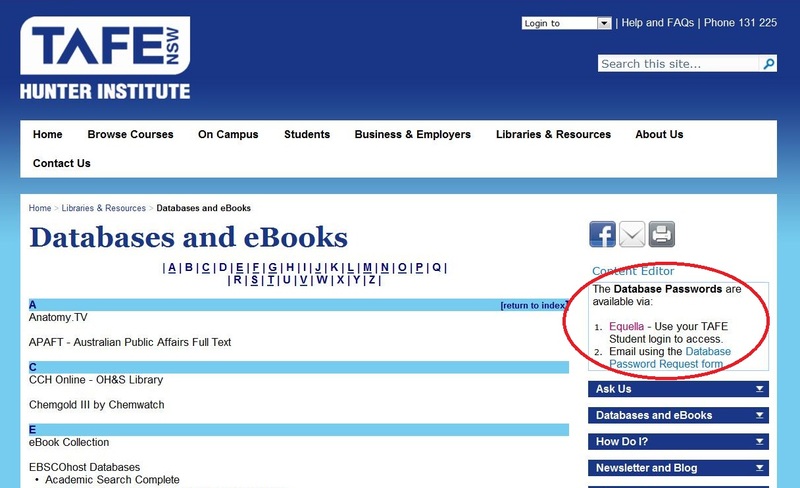 The Database Password list for our Library databases has been uploaded to EQUELLA and is now available to current Hunter TAFE students and staff. To access, just go to the Library website and open the Databases and eBooks page. Click on the Equella link and enter your DEC username and password. If you have forgotten your password, you can choose to have the password list emailed to you instead. If you choose this option, you will have to provide information to verify that you are a current student or staff member. 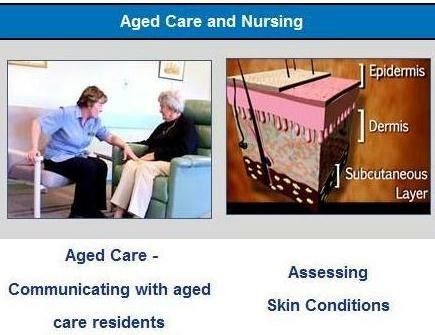 Videos range across a number of subject areas including aged care, nursing, IT, job seeking, and fitness. To access, click on the link and enter your TAFE username and password.